Big Country Raceway’s Jon Chamberlain secured a coveted spot in the Summit Super Series World Championships by winning the Top ET Summit Super Series race at the Pine Valley IHRA Summit Team Finals. Chamberlain used a .01 leave and a .01 over 5.530 to hold off Pine Valley’s Bart Nelson in the finals. In the Mod class, San Antonio Raceway’s Ryan McDonnell was able to overcome a .03 holeshot by Big Country’s Benny Gossett for the victory. McDonnell was just .003 over his 5.79 dial while Gossett broke out by .006 on his 5.74 dial. Cory Gulitti representing Ben Bruce Memorial Raceway is continuing his families winning ways by winning the Junior race over San Antonio Raceway’s Kenneth Hillen. Gulitti grabbed a .02 starting line advantage and ran dead-on his 7.99 dial forcing Hillen to run under by .03 on his 7.90 dial. 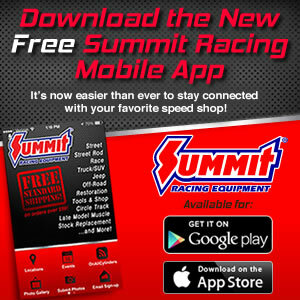 The Summit Super Series D4 champs will head to Memphis next weekend for the Summit Super Series World Championships that get underway at Memphis International Raceway next Friday.